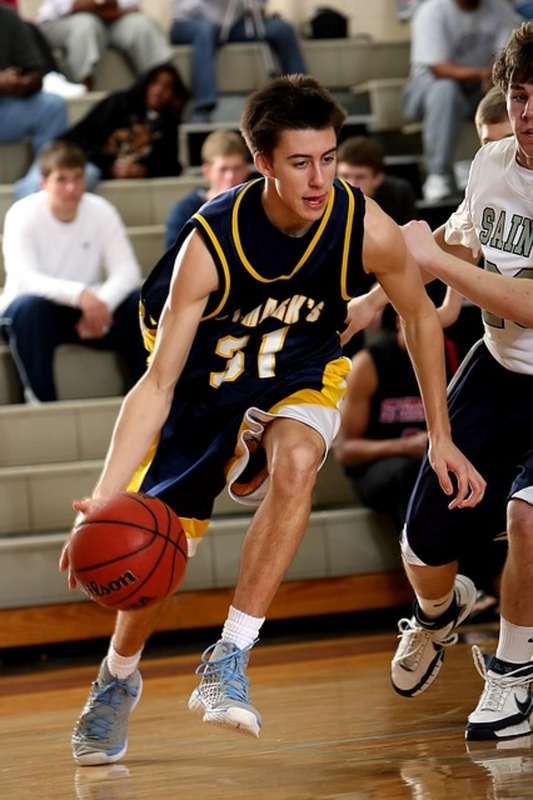 School sports rely on fundraising through the booster club to finance many of their activities. Educational funding continually sees cuts, making any booster club financing that much more important. However, traditional fundraising such as selling candy or cookie dough does not always provide sufficient donations to bridge the gap, and neither does ticket sales to the games. Rather than utilizing sales campaigns that take most of the proceeds and require a lot of work on the part of the team, try using mobile texting to support your next fundraising campaign. Texting campaigns helps to bring in more community support for your team. For your mobile texting program to have a significant impact, it is important that you increase the number of supporters for your booster club. 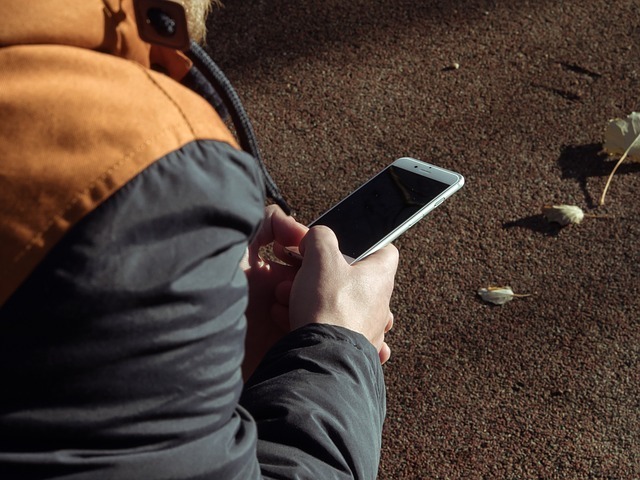 People can sign up to receive texts from you, including fundraising campaigns and information about games and other events. Invite your students to share the information with their social network and promote it in the community as well. When you put up flyers and posters about any events you might have, whether fundraisers or games, include a keyword and number that people can text to opt into your booster club text campaigns. This provides a way to get more of the community engaged with your team, which in turn leads to more opportunities for fundraising. Traditional fundraising still provides a great way to bring in much-needed funds to your school. Booster club text campaigns provide a way to support these fundraisers. Send out alerts to your subscribers when you have a bake sale, raffle, BBQ or car wash. Most texts are opened within just a few minutes of receipt, so they offer the perfect medium for reminding people about your fundraising events on the day or the day before to increase attendance. Texts also have a high response rate and a high open rate. This is highly beneficial for when you are selling items, such as candy, cookie dough, candles, calendars or other items. Include a link to the web page through which people can buy the items. Your team members simply send a text message to their friends, family members and other people in their network. You also send a text out to your subscriber list to increase the number of people who purchase items during your fundraising campaigns. Texting campaigns also offer a way to simply ask for donations. You might be familiar with text to donate campaigns that many of the large non-profits, such as the Red Cross, run after a disaster to raise money. Your booster club can take advantage of the same programs. However, many smaller organizations find that using mobile texting programs to send out a link to a web page for donations works much better. By sending out a web page you have designed, you have much more control over the process. Your supporters also have the chance to donate more money than the traditional text to donate campaigns, which often have a set amount such as $10 per text. It is an easy way to ask for donations from your supporters without having to sell anything. Use the power of texting to promote new and creative ways to fundraise. Your texting campaigns also offer a venue for running creative fundraising campaigns. Your booster club can have people pay to have a friend or family member's house "attacked" with posters and other items promoting school spirit and support for your team. Your team members might provide gardening or cleaning services for a fee. Whatever type of campaign you wish to run, it is possible to promote the information through texting. Interested parties can simply text a keyword to your number to show they are interested. Then, you get in touch with them about the particulars and/or send them a link to your web page with more information. Booster club text campaigns facilitate your fundraising efforts and help you to do much more than traditional campaigns allow. It is a cost-effective option that fits into most budgets, helping you to enhance the effectiveness of your campaign without taking away too many of your much-needed profits. Contact us to learn more about how texting can be used for fundraising and other activities for your booster club. 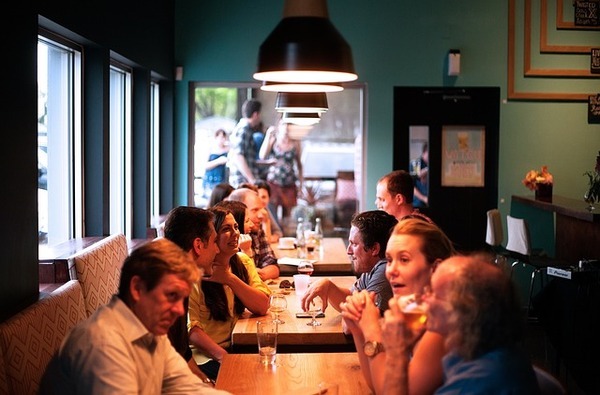 There is a lot of competition among restaurants, so it is important to find ways to reach your potential customers and get them to choose you over the competition. One way to do so is SMS marketing, which has a high engagement rate and is very popular with customers. To take full advantage of this lucrative marketing channel, it is important to find the right messages that resonate with your clientele. If you are having a hard time coming up with ideas, try one or more of the following messages. 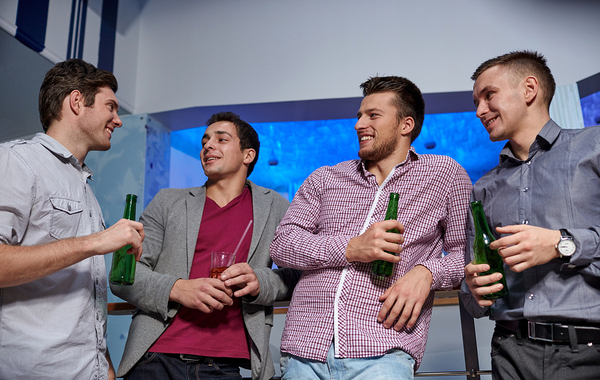 Increase attendance at your Happy Hour with a timely text message. Happy Hour is a long-standing tradition in the restaurant and bar business. Promote your Happy Hour specials to your SMS marketing subscribers with a text. Text messages are typically opened within just a few minutes of receipt, so you can send the message just a few hours prior to the start of Happy Hour. This provides the idea to people to head to Happy Hour at the end of the workday without time for them to forget or decide upon another venue. "Join us for Happy Hour today and get 2 for 1 drinks by showing this text." When people are stuck at work all day unable to head to your restaurant for a meal or wish to remain at home for a nice relaxing day in, they will be interested in your delivery options. If your restaurant is equipped to handle delivery, remind your SMS marketing subscribers about your services. Provide a deal just for delivery or highlight your delivery menu. This works really well when sent right near lunch or dinner time to capitalize on an already hungry crowd. "Enjoy a delicious meal without any work on your part with our delivery service. Call or click here to order and get 20 percent off." You would just include your phone number or a link to your website if you have online ordering enabled. This makes it very easy for people to order as soon as they see the text. Any offer or deal works well for your SMS marketing program. There are special times that it makes sense to promote, such as happy hour or lunchtime specials. However, you always want to provide value to your customers to retain them as subscribers. One way to do this is to send out exclusive coupons for your restaurant through your texting program. For extra motivation, include an expiration date on the coupon so that people feel motivated to take action right away. "After a long day at work, you deserve a treat. Enjoy a free dessert with an entrée purchase after 5 p.m. by showing this text. Deal expires on [date]." Encourage customers to vote on new menu items through text. Although many restaurants turn to SMS marketing for driving business through specials and coupons, this is only a small part of text message marketing. 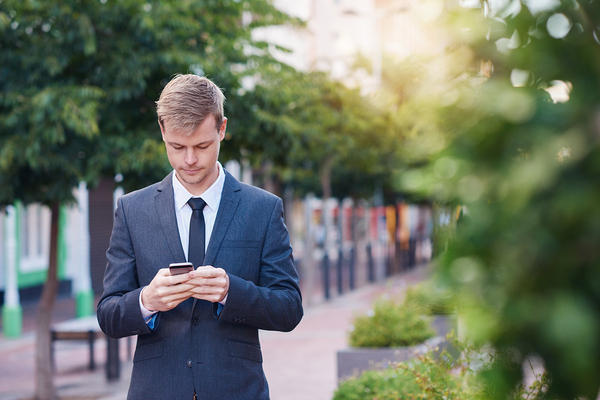 There are many ways to engage with customers through your texting program. One way to really get customers involved is through sending out a poll. The perfect time to do this is when you plan to make changes to your menu. Ask customers what they would prefer added and provide a few keywords with which they respond to vote. The keyword with the most texts wins. This helps you to continue to provide items on your menu that meet your customers' desires. "What dessert should we add to the menu? Click here to view the options and text the corresponding keyword to [shortcode] by [date] to vote." "Which type of pie should we add to the menu? Text apple, pumpkin, peach or key lime to vote." 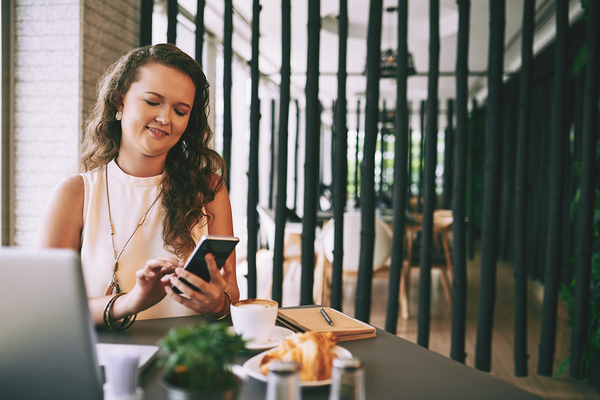 These are just a few examples of texts you can send to your SMS marketing subscribers to drive business to your restaurant. A combination of coupons and offers with texts that engage the customers will help you to get repeat business and turn customers into loyal diners. 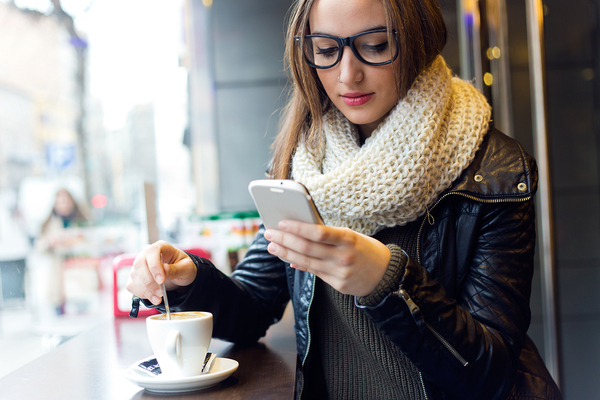 Ready to implement a texting program for your restaurant? Try ClubTexting for free to start taking advantage of this powerful marketing channel. The movie theater industry is in crisis with the advances to the home theater. In 2016, the film industry is expected to sell fewer movie tickets than it has in decades. In addition to just trying to get people into your seats, you also have to compete with other theaters. One way to increase customer loyalty and get customers to leave their house and come to your theater is text message marketing. This is a versatile marketing medium that provides a way to directly engage with customers. Reward customers for coming back to see more movies at your theater. There are many cinema chains and companies competing for the same customers. It is important to elicit customer loyalty. It is much easier -- and cheaper -- to market to and convert those who have already frequented your theater than brand new customers. Reward those who come back with a loyalty rewards program. It is possible to use your text message marketing program to do this. Group your subscribers by their behavior, including those who frequent your business. Then, text them special, exclusive VIP offers to get them to continue coming back. It is also beneficial to use your SMS marketing program as your reward program. Anyone who signs up becomes a member of your movie club, receiving special discounts and valuable information about movies. 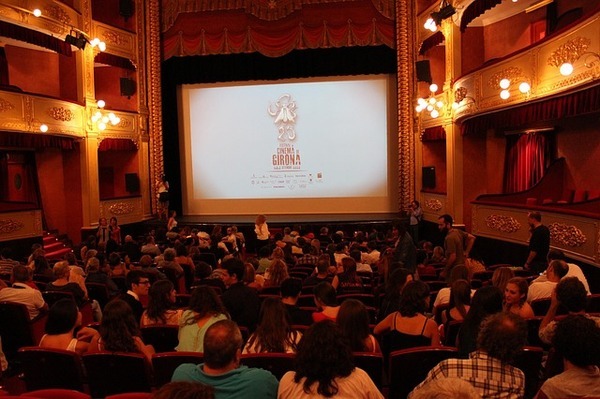 Many people choose to watch movies at home rather than the theater as a way to save money, especially with the price of movie tickets increasing. Discounts and offers provide a strong motivator to get people into your theater. Promote your text message marketing program as a way for customers to receive exclusive deals on movie tickets and/or concessions. Then, text your customers with periodic deals and see your attendance numbers increase, helping your overall bottom line. Not everyone is a cinephile, so they might not know what that a movie is coming out that they want to see in the theater. Your text message marketing program provides a way to keep your customers informed of all the latest movies released. Every week, send out a text highlighting the must-see movie or movies released that week, as well as a link to your website that details the other movies in the theater. Include a link to a trailer or other information about the movie as well to help them know why they need to see it. "Check out the trailer for [movie] to see why it will be what everyone is talking about on Monday. Don't miss out. See the showtimes for all movies." Another element to add to your texting program is an easy-to-use ticket ordering system, such as a link to your online ordering system. Add a limited-time offer to the text for even more motivation to act right away. It is also convenient for people to walk right up to the door of the theater and show their tickets right in their text message without having to print anything out. "Catch [movie title] this weekend and save $2 on your ticket. Click here to order online and redeem this offer. Deal expires [date]." Make it easy for people to find out what time a movie is showing. Another service to offer your text message marketing subscribers is an easy way to find information about show times. One way to do this is to create a group of subscribers who wish to have alerts about weekly show times. Then, create a message that highlights the most popular movie times and includes a link to the rest. Additionally, you can set it up for people to text you a keyword, such as SHOWTIMES, and receive an automated reply with a link to your page. However, you can also offer even more personalized service. Each movie could have its own keyword and auto-response. For example, a person could text a keyword such as XMENTIMES to find out the show times for the latest X-Men movie. Each movie would have its own personal keyword for this purpose. There are many other ways that you can provide customer service and other information for value to your movie theater customers through your text message marketing service. The most important thing is that you find something that meets the needs of your customers and inspires their loyalty. Contact us to learn more about using texting messaging to attract customers to your theater. Halloween is always a fun time of year where people young and old alike enjoy dressing up and consuming copious amounts of sugar. It is the perfect time for businesses to run promotions or host events. SMS marketing provides the perfect medium for taking advantage of this holiday to connect with customers and drive new business. If you are unsure what type of messages to send out, try one of the following Halloween-themed texts. Make it easy to RSVP to your party with texting. If your business celebrates Halloween in style every year with a monster-size bash, then leverage your guests to improve your SMS marketing campaign. Ask those who register for your party to sign up for your texting program. On the invitations and flyers, use texting as the call to action. When people want more information, they will text a number and get a response. It is also possible to use your texting program as a way to get people to RSVP for the party. They simply have to text a keyword and you know they are coming. As a bonus, you get their number to use in various SMS marketing campaigns to get them to patronize your company. Remind your followers about the event via text the day before to improve attendance. A holiday like Halloween is perfect for engaging audiences with themed messages, including polls. Ask them to name their favorite scary movie or their favorite monster. There are numerous other holiday-themed polls you can run, including their favorite candy, whether they trick-or-treat, if they like haunted houses, and more. To run the poll, create a few keywords that match answers to a specific question. Then, text the question and the answers and let your subscribers text the keyword that corresponds to their answer. For example, text "Who scares you the most? Text Dracula, Frankenstein, Wolfman or Other to vote." 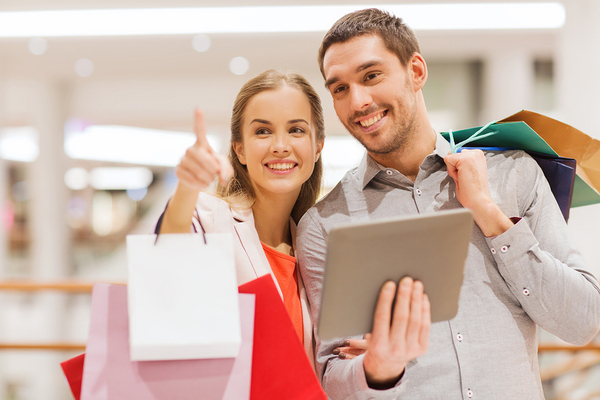 For additional engagement, promote the polls in your store, social media posts and digital marketing properties. Engagement increases brand loyalty, which ultimately helps your bottom line. Halloween is known for its candy and treats. Adults and kids love any excuse to indulge. Run a contest with your SMS marketing program to get people involved and engaged with your company. This can be as complex as a scavenger hunt or month-long trivia game. Alternatively, it can simply be a text-to-win contest. Offer a special Halloween-themed grand prize. For additional motivation to play, offer participants some benefit for entering, such as a discount on your products or services. There are so many Halloween goodies that people wish to buy, including costumes, candy, and decorations for their houses. More than 157 million Americans celebrate the holiday in some way. The cost can easily add up, with the average person expecting to spend $74 on the holiday. To stay within this budget, many people search for ways to save. Run an exclusive sale through your SMS marketing program that lowers prices on all your Halloween goodies. This will not only drive your business during the holiday, but you will also have more people sign up to your texting program. With regular texting and future offers and deals, you will have more chances to convert them to customers down the line. Provide discounts to customers who come in wearing their costumes. 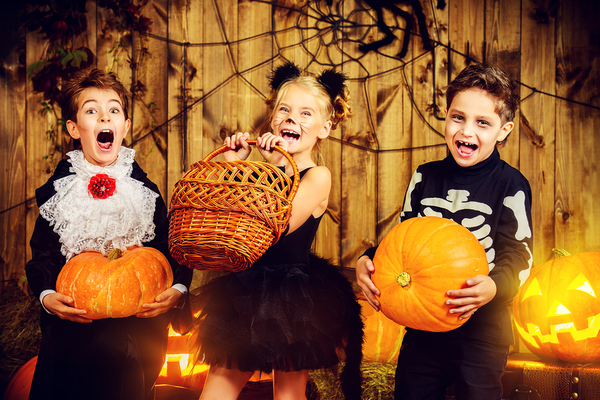 Encourage your customers to dress up and visit your store to help extend the Halloween fun. Send a text to your subscribers that offers something for free or a huge discount to those who come in on a certain day wearing their costume and showing the text. Many people already have their costumes, so they will easily be able to take advantage of such a sale. This also increases customer engagement for enhanced business opportunities. There are many ways to take advantage of SMS marketing to drive business this Halloween. 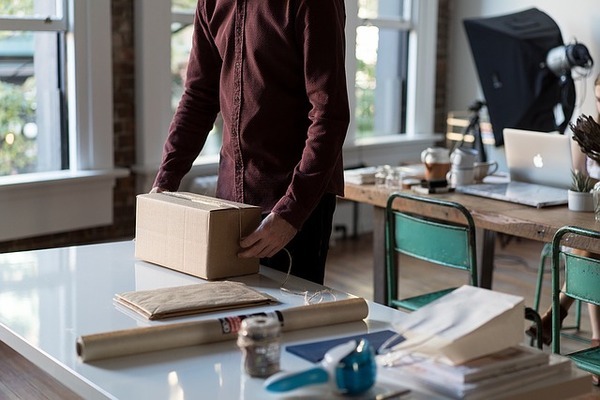 Plus, once you have a strong campaign going, it is possible to continue to leverage this beneficial medium to continue to drive business and engage with your customers all year long. Ready to get your Halloween campaign up and running? Try ClubTexting for free to get started. The 2016 election is bound to be one that goes down in the history books, no matter the outcome. Although most people are focused on who will be the 45th U.S. president, citizens will have many other decisions to make when they cast their ballot. There are local and state representatives as well as policies for which people will vote, and it is important to make people aware of the issues and get them to the polls to do much more than just cast a ballot for president. 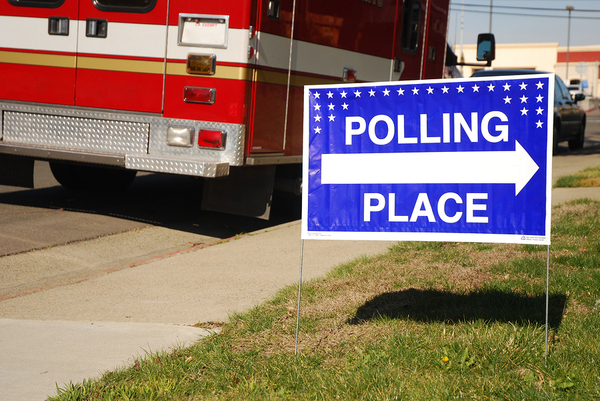 Help increase voter turnout with a strong texting campaign. Whether you are a local, state or national candidate; a local or national political party organization or simply an organization looking to get its members to the polls, there are several ways that you can leverage the benefits of texting to help make it a record year for numbers at the polls. It is important to leverage your group texting program to correspond with voters in the days and weeks leading up to Election Day. Promote your campaign at rallies and other events to get more people to subscribe to your program, as you can send texts only to those who have given permission. You can easily add texting as a call to action on your promotional materials, including any signs your supporters put in their yards, to get more people involved in your campaign. Many of the national candidates already are doing this in many of their promotional campaigns. It is beneficial to divide up your subscribers based on different factors, such as geographical location, demographics and preferences. Then, develop targeted messages that resonate with them. This might be sending information about local meetups and rallies to those in that region. It is also beneficial to send out messages that provide resources for voters, including links to your site for more information about your platform and to non-biased sources that help them determine for whom or what policies to vote in the election. Use your group texting program to send messages of value to voters to enhance their overall opinion of you, which increases the chance they will vote for you. Election Day in 2016 is November 8, and it will probably be hard for most people to miss the day with the amount of media coverage. However, it still could happen. For elections that occur outside of the general election and for future elections, it is even more important that you let people know what day they need to get out and vote. To do this, send your subscribers a quick text on Election Day that reminds them to get out and vote if they have not already done so. One impediment some people have in getting out to vote is knowing where their polling location is. The day before Election Day, send your group texting subscribers a text that prompts them to check for their polling location. Provide a keyword with which they can respond for additional help if they are unsure where to go. For example, your initial text would state, "Make voting tomorrow easier. Find your polling location now. For additional information, reply HELP to this text." Your volunteers or staff members can personally text or call those who have replied help to assist them in finding where to go to cast their vote. Text subscribers with valuable information, but be careful not to overdo it. Although texting provides a great way to get your supporters and other voters out to the polls, it should be used with caution. You want to be sure not to oversaturate your subscribers, especially those who also receive emails and letters from you and/or follow you on social media. One way to do this is to group your subscribers based on their preferences and other factors if you have the information. Ideally, you want to try to limit texts to two to four per month, although in the week or two leading up to Election Day, you might be able to get away with a higher frequency as long as the messages are not redundant and have value to the subscribers. Group texting has become an invaluable tool for any political campaign, whether of local or national interest. Leveraging the immediacy and intimacy of the medium must be balanced with respecting your subscribers. Focusing on creating messages of value that serve a purpose and limiting the number of texts will go a long way in making your campaign beneficial rather than hurtful. Contact us to learn more about using texting to help this Election Day. Museums provide an important cultural service to the community. Whether you have an internationally known museum or a small one focused on local art, history and/or culture, some of the most important clients you have are your members. 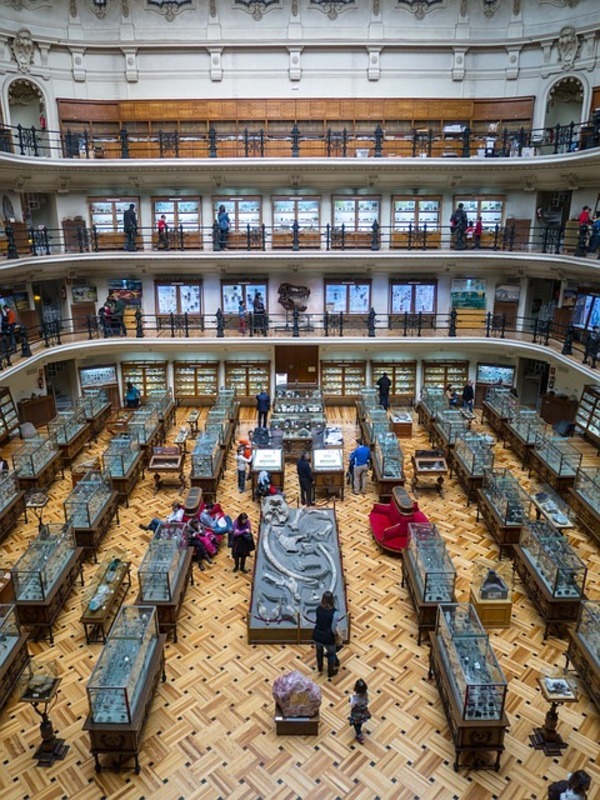 It is common for museums to rely on donations from members to sustain their events and bring in new and exciting exhibitions. Group texting provides a way for you to engage with your audience to drive interest and attract more members. There are many ways to utilize this channel to help your museum flourish. Include a texting CTA on all your marketing materials to increase patronage. Group texting is an excellent way to promote your museum and membership options. Include a keyword and your short code or long code on your advertisements in the paper, magazines, TV, radio, billboards and anywhere else. When people see the ad, they can reach for their phone and quickly text to get more information. Choose a keyword that matches your exhibition and offer a discount for improved impact. An example would be, "Text 'Picasso' for more information about our exhibit and to receive a 20 percent discount on tickets." Once you have patrons as members or interested parties, then text them reminders about events and exhibitions. Email newsletters, your website, social media and other channels provide more space for a lengthy explanation about your events. However, people do not always look at these, so you often have to send them out days or weeks in advance. Text messaging has a 98 percent open rate, and the messages are typically opened in just a few minutes of receipt. This makes your group texting program the perfect medium for event reminders. You send out an email about the event a few weeks in advance and then text your subscribers the day before or the day of to remind them. This helps to increase attendance, keeping your members active and happy so they will continue to renew year after year. Not everyone who comes to your museum will wish to take a guided tour or use an audio tour, even if you make it easy and have an app for smartphones. However, they might still have questions about particular pieces in your exhibitions. Post keywords on these pieces and create an auto response that has more information. You will only be able to send 160 characters in the text, but you could include a link to a web page that has even more information. Your group texting program also provides a space to send out discounted tickets. Although most of your members will be able to get in for free, they might wish to bring family or friends and take advantage of the discount. You might also have subscribers who have visited your museum but are not members, or there might be those who have let their membership lapse. Upon receiving a discount rate to come to an exhibit, they will be motivated to come back. Once you have them in the museum, you can try to get them to join as a member. You can also occasionally offer deals on your membership directly. One way to keep your members active is to make it easy for them to renew. You might have it set up to auto-renew, but not all museums have this option, and not all members wish to do it if you do. With group texting, you can make it easy. Send them a reminder that it is time to renew. Ask them if they would like to renew now, and then when they reply with YES, send them a link to enter their credit card information. You can do the same with donations. It is also possible to set up a text to donate program for your fundraising efforts. With this, patrons can simply text a certain keyword to a number to donate a preset amount, such as $10. It is very easy for the patrons, but many non-profits find that it can be limiting. That is why they choose to send a link instead. Then, patrons can choose to give a much higher amount, and it does not cost as much as the text to donate programs. Texting lets you get feedback on your exhibitions from anywhere. It is always important to engage with your members and other patrons and ensure that you are providing the best experience possible. Occasional feedback helps you to assess how well you are adhering to the wishes of your guests. Group texting makes it easy to get feedback through texting polls and surveys. With this information, you can continue to make improvements so that your members and guests continue to enjoy their experiences at your museum and wish to come again and again. There are many other ways that you can use group texting to engage with your members and guests to keep your museum alive. It helps to facilitate engagement so that more and more of your guests will want to become members and return to your museum again and again to enjoy all your exhibitions and events. Contact us to learn more about using texting for your museum. Whether you are just about to start an SMS marketing campaign or are still trying to figure out if it is beneficial for your company, you probably have questions about the medium. It is common for people new to texting to be unsure about certain aspects of text message marketing. Even old pros sometimes forget some of the basics of the marketing channel. The following provides some answers to the most commonly asked questions to help you take the next step in your texting campaign. 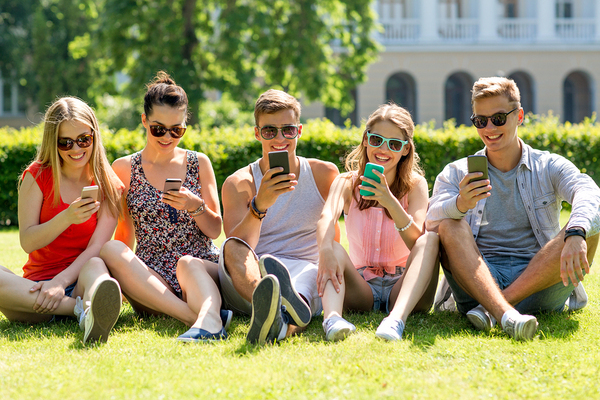 Does SMS Marketing Only Work on Millennials? Older generations text almost as much as Millennials do. Although Millennials might text more than their older counterparts, the difference is not as much as you might think. All Millennial smartphone owners probably text. However, 98 percent of those between the ages of 30 and 49 text and 92 percent of those over the age of 50 text. Therefore, SMS marketing is not just for Millennials; it works for all generations. Won't My Customers View the Messages As Spam? When email marketing debuted, it was not long before spam became so excessive that filters became the norm. Now, only one percent of text messages are seen as spam. Plus, 70 percent of consumers surveyed believe that brands should text them more often. Consumers want to receive messages from their favorite companies and are more than willing to sign up. What Type Of Information Will I Have About Subscribers? This depends on how they signed up. For those who opt in through a keyword, you will simply have their mobile number. You might initially have more information from subscribers who sign up through another channel, such as an online form. As your campaign progresses, you can ask for more information from customers so that you can integrate the campaign with your other channels and more easily group the subscribers for targeted messages. What Messages Do I Send? You can send any type of message you want. Many businesses use their SMS marketing campaign as a way to send exclusive offers and deals to their customers. This works well, as the medium has a higher redemption rate than other channels. There is no need to stop there. It is possible to use texting to send out tips, reminders, invitations to events, transactional messages, customer service inquiries, polls, surveys and more. You can also run contests. What Makes a Campaign a Success? What makes the campaign a success depends a lot on your goals. Do you want to bring in a lot of subscribers, spread the word about your company, increase your sales, or enhance your customer service? You can't measure success unless you have metrics. The fundamental metric is your established goal. Your texting platform will have analytics you can review, including an opt-in rate, opt-out rate, conversion rate and redemption rate. Reviewing these will provide insight into how well your overall program performs. How Often Should I Text? The ideal frequency for texting varies based on the audience and the business. In general, the preferred number of texts is two to four per month. It is generally better to err on the side of too few texts than too many, since too many texts may annoy customers. However, you do not want to text so rarely that your customers forget that you have a texting program. How Long Should a Text Be? Text messages should be no longer than 160 characters. Although some newer smartphones appear to send messages that are a lot longer than that, that is not exactly the case. They still send the message, but broken up into 160 character chunks; it just does not appear that way to the user. Thus, sending longer texts could end up costing your subscribers more money. Keep it short and simple, and include a link to a web page if you have additional information you wish to share. Include information about your program on reciepts and flyers. It is essential that you only send texts to those who have opted into your campaign, as texting is a permission-based marketing platform. Luckily, there are many ways to promote your SMS marketing campaign and get subscribers. Add a line on your existing marketing and advertising that has a keyword and a short code and a short explanation of your program. Promote it on your social media profiles and post about it. Have information on your website. Have your employees tell customers about it. Alert your email subscribers about your new campaign. As your promote your list, it will start to grow. Include some type of incentive, such as an exclusive discount, and watch your list grow even faster. These are just a few of the most common questions that go beyond the basics of what is a keyword and short code or how much does it cost. SMS marketing is a lucrative marketing channel that shows no signs of slowing down. Take advantage of it today, and contact us if you still have any questions about the channel. Ready to start your campaign? Try ClubTexting for free and get started today. A successful SMS marketing campaign requires continuous work. It is important to check regularly and make adjustments to ensure that your efforts continue to bring strong returns. There are many ways to measure the effectiveness of your texting campaign, and your text message marketing platform probably offers several key analytical tools to get you started. Knowing the right ones to use for your campaign ensures that you are tracking the right things and making the right adjustments to keep your campaign going strong and bringing in more business. Are People Signing Up--And Staying Active? A basic way to measure the success of your SMS marketing campaign is how many people sign up to receive messages from you. This is measured through your opt-in rate. It is just as important to look at the opt-out rate and delivery rate to see how many people remain active subscribers. You will always find that a few people choose to opt out for reasons beyond your control, and you will find you have some texts that bounce. However, an effective campaign keeps these numbers low while the opt-in rates remain high. In addition to continually recruiting new subscribers and retaining them, you want to keep them actively engaged. This can be measured in a few different ways, including redemption rates, conversion rates, click-through rates and open rates. In general, text message marketing has eight times the response rate as email marketing. You want to take advantage of this and maintain a high engagement rate across the board. This not only means that you have a successful campaign, but it correlates to increased business. These numbers also tell you what messages work, and which do not. A coupon that sees a high redemption rate met some need with your customers. Although you want to vary your coupons and deals to maintain value, you also want to be sure to send coupons that work. Using the data you receive can help you to tailor messages to those your customers like, keeping your campaign more successful over time. Are People Sharing With Their Friends? Another way to measure the success of your campaign is to see whether your customers are telling their friends and family members to sign up as well. You can track this by using a unique keyword that your SMS subscribers can send to their friends to sign up. You might also send out surveys asking how people heard about the program. Unique keywords tell you, in general, from whence your subscribers come. This allows you to see which of your campaigns work the best and which are the least effective. For example, you might run a promotion on your social media page and a TV ad simultaneously, both of which use a texting call to action, but with unique keywords. You can track the opt-in numbers using the different keywords and see which one had the most people sign up. In general, SMS marketing is a cost-effective marketing channel. It costs just a few cents to send and receive texts and you do not have to pay for expensive graphics, which are reasons why texting typically has a high return on investment. However, you might find that you are not getting the return on investment you expected. By comparing the cost of your campaign with any increase in business, you can determine whether texting has been effective for your company. You might find that making a few adjustments could help you to increase the impact and, thereby, generate a better ROI. Reviewing your campaign ensures you get the most value from your investment. People like to receive texts from businesses. Texting is quickly becoming one of the top business marketing channels. By reviewing these four different components of your SMS marketing campaign, you learn about its effectiveness. A quick review of your analytics should provide most of the information you need, although you might also want to talk with your customers and learn more about their perspective to learn how you might improve in the future. Contact us to learn more about how to monitor your campaign. 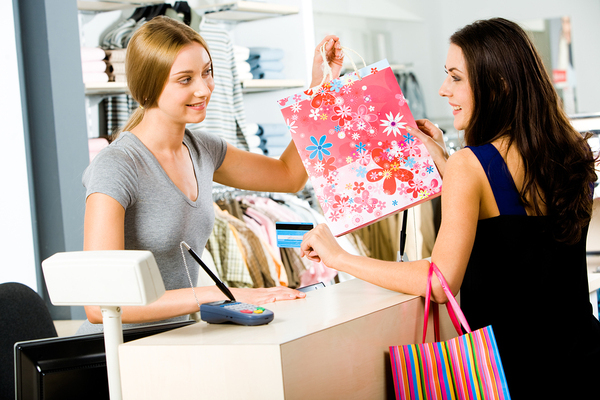 As a consignment shop, you not only need to find shoppers, but you also need to find sellers. This ensures you have sufficient stock for your customers. The consignment business has seen strong growth, which means there is more competition from both brick and mortar stores and online services. Therefore, you need to promote your business that attracts not just buyers but also sellers. SMS marketing provides an impressive, versatile marketing tool perfect for attracting more business to your consignment store. Bring more people into your business to buy and sell and achieve your goals. SMS marketing is a versatile marketing channel that offers you a way to promote your business. Once you have a subscriber list, it is simple to send them texts about your business to encourage repeat business. Your subscribers already have an interest in your business, so they are a willing audience for your promotion. It is not just to current customers to whom you can promote your texting program. It makes for one of the best calls to action to use on any of your advertising or marketing collateral. Add a keyword and instruction on your flyers, radio spots, TV ads, print ads and other pieces as a way for customers to take action after seeing your ad. People carry their phones with them everywhere, so it is easy for them to text when they see your ad, improving the success rates of your ads. For increased impact, offer a deal for signing up. It is easy to segment your subscribers into sellers and buyers, and you might have even more groups you wish to create. The same customer can be placed in more than one group, so if someone is both a buyer and seller, he or she will not miss out on any text. When there are new opportunities for selling at your consignment store, send out a text to your SMS marketing subscribers. This might be when you start selling a new product or merchandise. Perhaps you had too much of a particular item but now require more. This makes it easy for you to reach your sellers and communicate your needs to them. On the other side of your business is your customer base. When you have new stock from one of your dealers or vendors, text your SMS marketing subscribers. This allows them the first look at your new inventory while also making sure people know what you have available for them. You might have a regular text that puts the spotlight on a particular stock item. This might typically be new items, but you might also highlight something that has been difficult to sell. SMS marketing provides an excellent way to send your loyal customers offers and coupons. Mobile coupons have a much higher redemption rate than other formats. They only need their cell phones with them. Then, they simply show the text at checkout. There is no printing anything out or remembering to bring it. Coupons provide a strong motivation for customers to come in and shop at your store. Alternatively, if you need more merchandise, offer a special discount for those who wish to sell something on consignment at your store. When you text, people can recieve alerts about events anywhere. Text messages have a high open rate. This means you can feel confident that messages you send to your SMS marketing subscribers are read. Capitalize on this by sending your subscribers information about events in your store. Perhaps you plan to have a massive sale to move your products, or maybe you plan to host a customer appreciation party. Whatever the event, you have the chance to increase attendance by alerting and reminding your subscribers about it through text message. Implementing an SMS marketing program provides you with a way to increase engagement with your buyers and sellers. This will help your consignment business, and you also will stand out from the competition, further increasing your sales. Contact us to learn more about how you can utilize this powerful marketing channel. 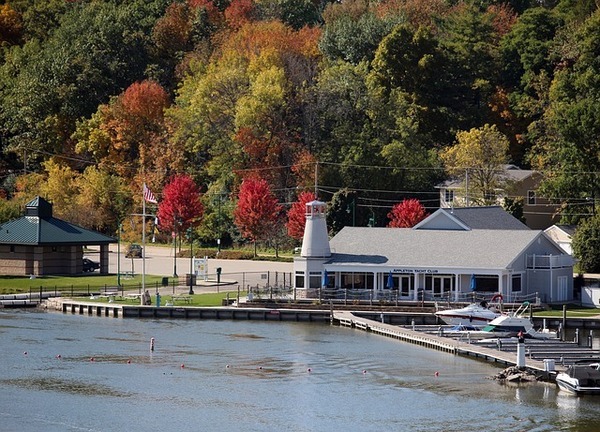 To successfully run your yacht club, it is imperative you provide your members excellent customer service. They expect only the best from you, and they will clarify it when you do not meet their expectations. It is up to you to continually attract new members, so your numbers remain active, and you reach your goals each year. Implementing a group texting campaign provides you a way to promote your business and communicate with current, new and prospective members for enhanced customer service. The following will help you to create a strong foundation for your campaign so you will meet -- and exceed -- your goals. Consider what you hope to achieve for your yacht club with a texting campaign. Before you do anything, it is imperative you develop goals for your program. It helps if you review your overall business goals. Perhaps you wish to increase membership by 20 percent this quarter. Maybe you need to increase sales or increase event participation. Your goals for both your yacht club business and the group texting campaign go a long way in determining what type of messages you send, and how you plan to promote your program. You should also determine your target audience for your group texting campaign. This might be prospective members or current members, or you might run simultaneous campaigns for both. It is beneficial to perform market research and learn more about the demographics and behavior patterns of your yacht club members. This will help you to create the right content for your followers, increasing the engagement and ultimately success of your campaign. 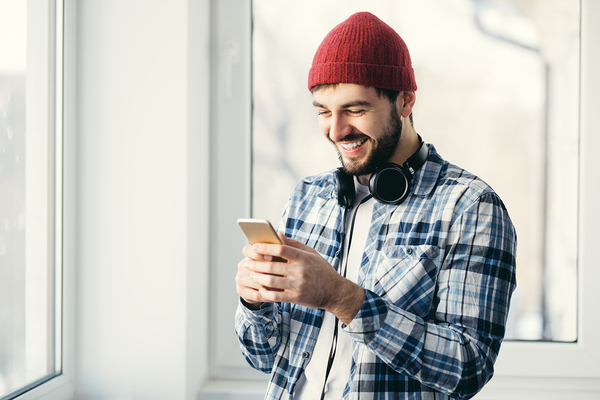 One of the most critical components of any successful group texting campaign is that you provide content of value to your subscribers. This could be discounts or offers on your services or information about member events. What is considered "value" depends on your clientele and members, and the services you offer. You might have to run a few test campaigns after your market research to see which content has the greatest impact. Regardless, take some time to determine what you and your members consider valuable, and what measures you plan to gauge the success of this content. 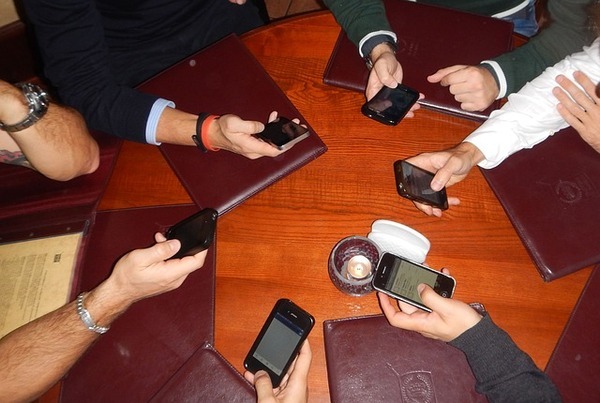 For your group texting campaign to work, you must contact your yacht club members at the ideal frequency. You want to communicate with them enough, so they continue to take advantage of your offerings and engage with your club. However, you do not want to oversaturate them to where they disregard your messages or opt out of your service. Finding the right balance might take trial and error, but it is typically around two to four messages per month. Create groups for your subscribers and send targeted messages. As a yacht club, you have to balance between providing service to your current members and try to attract additional members. Your group texting program provides a way to contact both, and you should send personalized, targeted messages to both categories. It is easy to segment your subscriber list, so you send only the relevant messages to each person. You can have multiple groups, and your members can be placed in more than one. Just be sure that you still only send members around two to four messages per month even if they are in more than one group. The more time you spend researching your prospective members and determining what they want from a group texting program, and what goals you wish to reach, the better campaign you will create. This research helps you to build a strong foundation on which to build as your program commences and progresses. 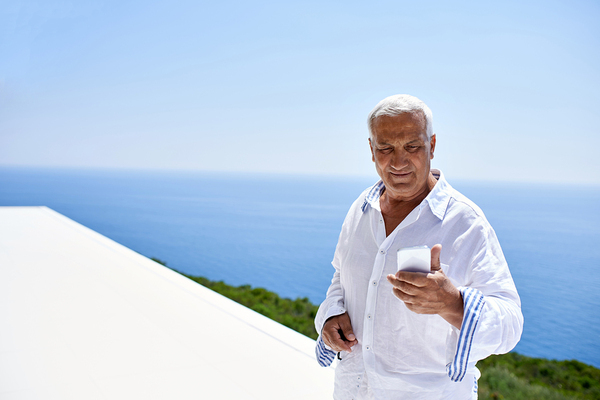 Ready to see how texting can increase your yacht club membership numbers? Try ClubTexting for free. As an advertising or marketing agency, your priority is to increase awareness about the brands you serve. However, you do not want to forget about advertising for your own agency so that you continue to bring in more clients. This is also an unofficial way to demonstrate your skills to potential clients before they make initial contact with you. Text message marketing has become increasingly popular marketing channel for businesses to use. It helps to attract new clients and maintain those you already have. Rather than just using it for your customers, be sure to include it in your own advertising to receive the following benefits. As a small boutique advertising or marketing agency, it is sometimes hard to compete with the large, well-known agencies that have a large advertising budget. Text message marketing levels the playing field. It is a text-based medium, so it requires no expensive graphics to look great. Plus, the cost to send and receive texts is minimal, often just cents per text. This makes it easy to fit it into almost any budget. Many companies have yet to include SMS marketing in their services or marketing strategy, but people like it. By including it, you also stand out from the competition. By incorporating text message marketing into your own marketing strategy, you also have a chance to demonstrate its effectiveness to your clients and potential clients. As they say, actions speak louder than words. Run a great campaign, and it won't take much persuading to convince your clients to do likewise. Text message marketing is just one of many marketing channels in today's market. It is easy for clients to start to feel overwhelmed by all their options, from traditional print ad marketing to digital marketing to mobile marketing. By including SMS marketing in your own advertising, you also will have the tools needed to add it to your clients' so that they can take advantage of the many benefits of the medium, such as a high open rate and a high engagement rate. Texting is highly versatile, so it does not need to remain only in the realm of marketing. It also provides a beneficial way to communicate with your clients. Send them a reminder about a meeting or a campaign launch. Send tips to your clients about how to improve the aspects of the campaigns that they run. Instantly update your clients about any changes to their program, including any problems you might have. Texts are typically opened within a few minutes, so you can feel confident that your client can see and respond right away, reducing the amount of time a problem inhibits the continuation of your client's program. Two-way communication helps to improve your customer service. A majority of consumers prefer to contact companies about customer service inquiries through text messages. They can text you at their leisure while knowing that you will take care of it. The smooth handling of the issue helps to improve their overall feeling towards your company, improving your retention rates and referral rates. Implanting a text message marketing program for your own agency also helps you to have a strong call to action on all your advertisement and marketing collateral. As you probably tell your clients often, you need to have something that inspires customers to take action right away. Providing a number and keyword to text for more information on bus ads, digital ads, radio ads, print ads, TV ads, and any other ads makes it easy for them to take action right away, increasing the number of leads you receive. Do not miss out on the high open rates, redemption rates, and engagement rates associated with this medium. Contact us to learn more about using text message marketing for your own agency, as well as for your clients. Whether your surf shop is open year round or needs to make the most of your summer business, finding clients is an essential component of your business. You can promote and promote your shop, but it is important to find a way to engage with your clientele so that they not only choose you over the competition, but also come back again and again. Mass texting provides you a versatile way to promote your business, communicate with potential clients, and maintain a relationship with those you already have. Following are just a few ways to utilize mass texting as part of your marketing strategy. Mass texting provides an excellent channel for promoting your business. It is an opt-in service, which means that you are only allowed to send messages to those who sign up. You can promote to these customers, which does help, since they are already engaged. However, you do not have to feel as though this limits you. There are ways to utilize your texting program to draw in new business as well. Texting makes a great call to action on any of your other marketing and advertising collateral. For example, add the phrase "Text Surf Rental 55555 to find out more and get a 10 percent discount on surfboard rentals" on your ads that promote your rental business. Adding a discount or offer to the CTA increases the response to and improves the efficacy of your ad. Customer engagement is an essential component of business in today's market. Finding ways to communicate with clients and build a more personal relationship helps to create more loyal customers. Your mass texting messages do not have to be just deals and offers, although those do create highly lucrative messages. It is also a medium through which you can send out tips and other information to continue to build your relationship with your customers. For example, keep your customers informed of the surf report or tips on surfboard care are other ways of keeping in touch. Text messages are a more intimate medium. People have yet to feel saturated with SPAM and marketing messages. This gives you an edge over your competition when you communicate with customers through texts. They will be more willing to view you as a friend than just another company, helping to bring in more repeat business. When you have events, you want to be sure to have a strong level of engagement. People are so busy, they might easily forget about events, especially if you initially tell them about it weeks ahead of time. Mass texting is the perfect avenue for sending out reminders because messages are opened and read within just a few minutes. Send out an email to let people know about the event. Then, remind them about 24 hours ahead of time to increase participation. This also works for transactional messages. Text reminders of rental pre-orders or let customers know when an order is ready to be picked up. Send receipts through text and include a thank you with a deal or other motivation to customers to come back. Another way to engage customers is to host events at your business. This might be customer appreciation days or weekly surf club meetings. 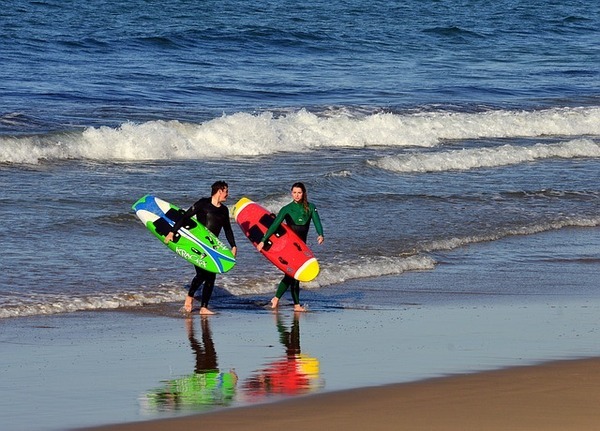 You might run tours and surfing classes for visitors. Perhaps you also offer stand up paddleboard and kayak tours. No matter what events your shop offers, you want to be sure to attract people to them. 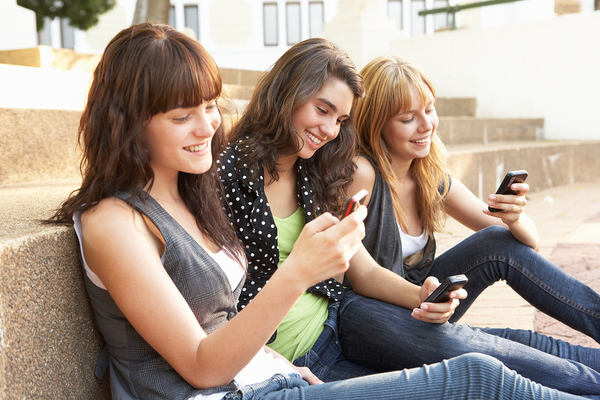 Mass texting provides you a way to alert your customers and increase participation. Adding it as a call to action also helps you to draw a larger crowd. People carry their phones with them at all times, making mass texting the best way to get a hold of them with last minute information. Take advantage of this by sending out alerts on days where the surf is perfect. You might already send out surf reports to some of your more loyal customers, but not everyone might want this daily or weekly information. Group your customers for sending relevant text messages, and then have some messages sent to everyone, such as a high surf day. These are just a few ways to utilize mass texting for your surf shop that go beyond sending coupons and deals. These play an important role in any SMS marketing campaign, but there is so much more you can do with this versatile marketing medium. 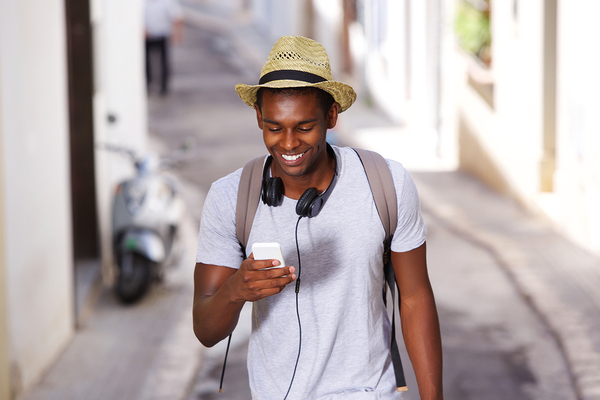 Ready to see how you can implement texting in your marketing efforts? Try ClubTexting for free. Keeping a community theater open takes a lot of time and effort, often by a group of dedicated individuals volunteering their time and talent. Communication and organization become key components of maintaining order and reducing drama from your theater. Club texting provides a valuable tool to help you communicate with your audience while also organizing your staff, volunteers, stagehands, and actors. There are many ways that this versatile tool can help your community theater have the best season yet. Almost everyone has a cell phone, with 90 percent of American adults owning an SMS enabled phone. Most of these people keep their phone within an arm's reach at all times throughout the day. That means that texting is one of the best ways to get in touch with your community theater staff, cast, crew, and other volunteers. It is easy to create groups for your club texting subscribers and target messages to just the relevant receivers. When you need to reschedule rehearsal at the last minute, you simply send a text and feel confident that everyone will be aware of the news. The same goes for any other communication you need to send. Your members can also reply, helping you to get RSVPs from everyone before a show, rehearsal, or audition. This will make the organization of your community theater that much easier, giving you more time to spend focusing on the drama you actually care about: the one on the stage. Club texting also helps you to increase your audience numbers. When you promote your latest show on flyers around town, billboards, posters, print ads, radio spots, or any other type of advertisement, add a texting call to action. This provides an easy way for people to find out more information as soon as they see your ad, rather than having to wait. Once you have community members subscribed to your list, text them updates on the latest shows. This helps to increase the number of people who return to your theater every season. As a community theater, you probably rely a lot on donations and other funding from the local community. Running a club texting campaign helps you to bring in a larger number of donations. During your fundraising drives, text your subscribers asking for a donation. Additionally, add a texting CTA to your donation pleas on your playbills and other advertisements. You can set it up so that they only have to text a keyword to a particular number and automatically donate a certain amount of money, which is simple added to their phone bill. This is easy for the community, but it does have some additional work for theaters. Some theaters find it better to simply send a link to a donation page. This lets you receive more of the money, and your community can choose how much to give in one donation. Either way, you have the chance to easily increase your donations to help fund your next show. 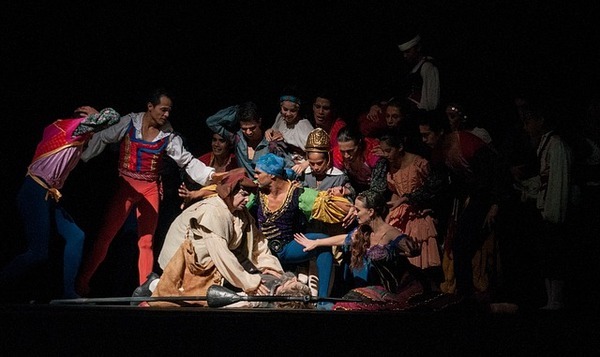 A community theater only thrives when it has the involvement of the local community, especially if you rely on volunteers for some or all of your cast and crew members. Club texting also helps you to increase the impact of your casting call. It can likewise be added to your advertisements as a way for interested people to easily and quickly get in touch with you as soon as they see the casting call. You also can have a group of people in your texting subscribers who have helped or expressed interest in the past to whom you also send an invitation for casting calls or other volunteer opportunities. Text messages are typically opened within just a few minutes of receipt. This is why they are the perfect avenue for sending out reminders to your audience and cast and crew. You might have promoted an event through several different avenues, including social media and email. However, the nature of these mediums typically requires that you post the information far enough in advance to feel confident your followers read it. With texting, you can send a reminder within 24 hours and know that your recipients have read it. This can help to increase the attendance at all your events, whether it is a show, a fundraising event or a casting call. Club texting is a versatile marketing and communication medium that has the power to greatly enhance the organization and communication of your community theater. It has a relatively low cost, making it easy to fit in most budgets, even those of a non-profit community theater. This makes it a cost-effective way to keep your volunteers and audience members apprised of your events, helping to keep your productions SRO. Contact us to learn more about how texting can help your theater. As the temperature increases, some businesses start to see their sales take a dip. 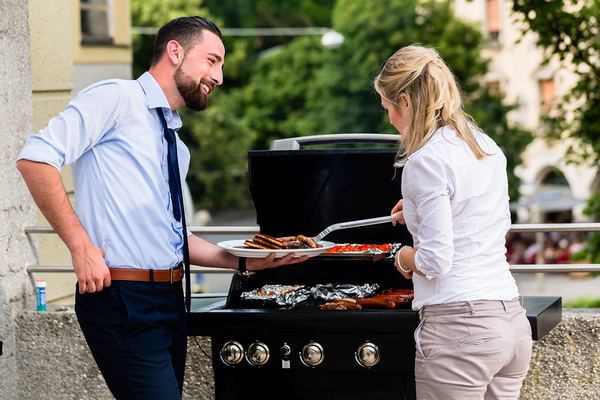 Conversely, those that specialize in summertime goods and services work hard to make their busy season get them through the rest of the year. Whether you rely on summertime sales or just are looking to bring in some extra business during the season, SMS marketing can help you to boost your sales. If you are starting a new campaign or just looking for a way to spice things up, try one or more of the following messages for a more successful summer. Sales are a great way to draw in business no matter what time of year. One way to increase awareness and interest is to create something that attracts the attention of your customers. To do this, play around with summer-based puns for your sales. This could be using terms such as sizzling sales or beat the heat. Incorporate this language into your SMS marketing messages to draw a crowd. For example, your message might read, "Beat the Heat with our 20 percent discount on summer clothing. Redeem in stores before August 15." You can take this even further with text messaging to promote last minute deals that reflect the day's weather. Most people carry their phone with them everywhere, so you can feel confident they will see the text right away. When the weather calls for an abnormally hot day, tell people how coming into your business will help them to avoid the heat. If you are a restaurant, this could be a special limited-time offer on cooling foods, such as ice cream or specialty drinks. Movie theaters might advertise their air-conditioning, and retail stores might push certain summer items that help keep people cool. Free swag is another way to draw in a crowd, especially when it is available for a limited time. Take advantage of the hot days and offer something for free when they shop. It can be something inexpensive but fun, such as popsicles, or it can be an item related to your business, such as branded sunglasses, flip flops or a tote. Make this exclusive to your SMS marketing program for an enhanced effect. Your text might read, "Be one of the first 100 customers before noon on Monday and get your free sunglasses to sun in style this summer. Bring in this text to our stores today." Summer is a time when people spend more time outdoors, which often also involves spending time with friends and family members. Get people's attention by offering a summer-long scavenger hunt and motivate them to play with their friends and family members. This might include daily or weekly texts that take people from one clue to the next. At each successful new location, they win something small, such as a new coupon. Then, anyone who reaches the end of the scavenger hunt around Labor Day is entered into a drawing for a larger prize. This might also facilitate discussion and competition among your customers, building a larger community. Your texts might read something like, "Click here for today's scavenger hunt clue. Successfully locate the item and receive a 10 percent coupon valid for this week." Whether at the beginning, middle or end of summer, attract customers through hosting a party. This might simply be a day of specials and exclusive sales and extended discounts or it might be a genuine customer appreciation party. Either way, attach it to a particular holiday in the summer. This might be one of the more traditional ones, such as the summer solstice, July 4th, Labor Day or Flag Day. Alternatively, you can get more creative by choosing one of the lesser-known holidays, such as National Ice Cream Day or National Cheesecake Day. Your text would state something such as, "Come celebrate National Ice Cream Day with us and get a free scoop of ice cream with every purchase of $5 or more. Bring in this text for your treat." 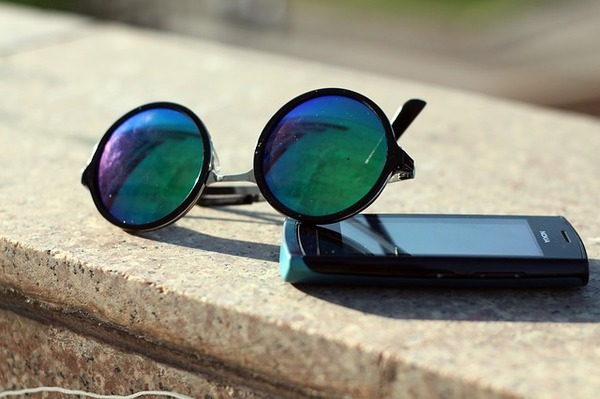 These are just a few examples of how to get creative this summer to draw in customers with your SMS marketing campaign. Just remember to keep the content of your messages under 160 characters, exclusive to the medium, and of value to your audience, and don't forget a strong call to action. Ready to see how one of these messages works with your campaign? Try ClubTexting for free. 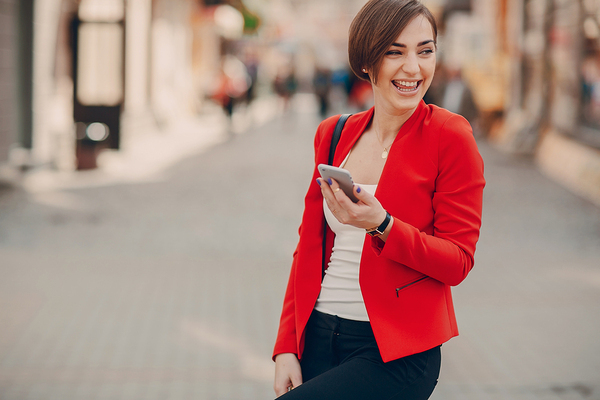 Incorporating texting into your marketing strategy is not just about finding ways to attract more customers through direct marketing; it is also about enhancing the entire customer experience. In today's market, it is very important to provide the best customer experience, since most customers shop based on emotions rather than price and other factors. Providing dynamite customer service is one way that you can improve the customer experience, thereby increasing business. One way to do this is to use group texting in your customer service department. The majority of consumers prefer conducting customer service transactions through text than a voice call. To create a strong customer service campaign using your group texting program, utilize the following strategies. A strong customer service initiative knows as much about the customer as possible. Therefore, integrate your customer data across all your platforms, including your email, social media, and website. This allows your customer service department to know the relationship the customer has with the company and easily follow any history relevant to the current conversation. This streamlines the process so that even if a person communicates with you through different channels, you have the latest information. When using group texting for customer service, it is important that you personalize the texts. This is easy when you create individualized texts in response to inquiries. It remains possible to provide some personalization when you send stock reply messages. The easiest way to do this is to simply add the person's name. This is easily done through a template, and it makes a huge difference for the person receiving the text. Another important component of a dynamite customer service initiative is that you do not offend or frustrate the consumer. Therefore, you want to inform your customers about your group texting program and get permission before sending them any texts. When they buy something from you or sign up for your services, inform customers of the chance to receive transactional messages, appointment reminders, and other customer service communications via text. Also, let them know that they can text you with any problems, issues or inquiries. No matter the purpose of the message, it is essential that you develop great content. It should be well written without any spelling or grammar arrows errors (just kidding). It is important to include all the relevant information, such as how to opt in and out of messages and where to go to find additional information within the text. You only have 160 characters, so you must be concise. However, do not use "text speech" or abbreviations beyond standard abbreviations you might use elsewhere, such as for states. If you require additional space, it might be best to include a summary of the most important information in the text along with a link to further information. Many of the same rules for customer service apply to group texting as they would any other forum. You want to be professional, polite, considerate and customer-minded. On top of that, take advantage of the features of text messaging for an even better forum for addressing your customer's needs. Contact us to learn of more uses for text messaging beyond just customer service. How Does Text Message Marketing Compare to Email and Social Media? Trying to connect directly with users can be difficult. Part of that difficulty is discovering the right medium, whether email, social media or text message. With the increasing popularity of text message marketing the past few years, many companies have jumped on board while others are hesitant to try yet another marketing channel. The statistics, however, show that SMS marketing has the potential to boost your business and overtake both email and social media marketing as the best forum for reaching consumers. Although text messages debuted not long after email became commonplace for the average user, the use of email for marketing purposes caught on long before text message marketing. Today, almost every company has some sort of email communication with clients. However, this also means that email marketing has to deal with oversaturation, as well as the tons of SPAM emails a typical person receives on a daily basis. As such, email marketing has between 28 and 33 percent open rate on average. The click through rate is between six and seven percent. Interestingly, campaigns that send more emails tend to see a gradual increase in their open rate during the life of their campaign. Do People Respond to Social Media Marketing? 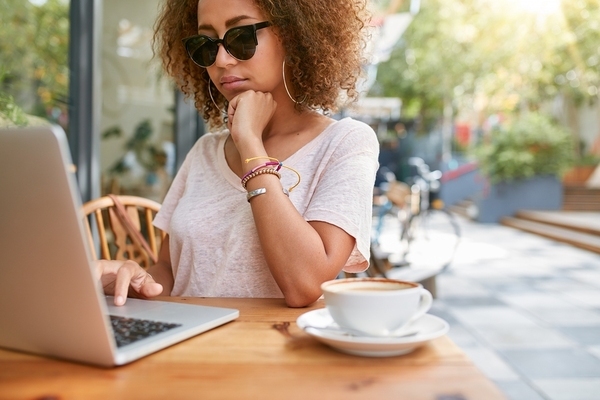 As social media took off, brands became excited about the personal connection they could facilitate with customers, as well as the free organic reach. Facebook consistently alters its Newsfeed algorithm, as do the other social media sites. This often diminishes what posts users actually see. This means you might not be getting the reach you think you are, since your fans most likely do not see 100 percent of your posts. The organic reach for Facebook posts ranges between 2 percent and 47 percent. This number is largely influenced by the number of fans you have. If you have fewer than 1,000 followers on Facebook, then you most likely average about a 22 percent organic reach rate. However, if your company has more than 100,000 followers, the organic decreases significantly to around 6.6 percent. Twitter has also been found to have a two percent organic reach, but the company advertises that it can connect with 30 percent of their followers each week, compared to five percent for Facebook. Other social media sites, including LinkedIn, Instagram, Pinterest and Google+, have similar reaches. 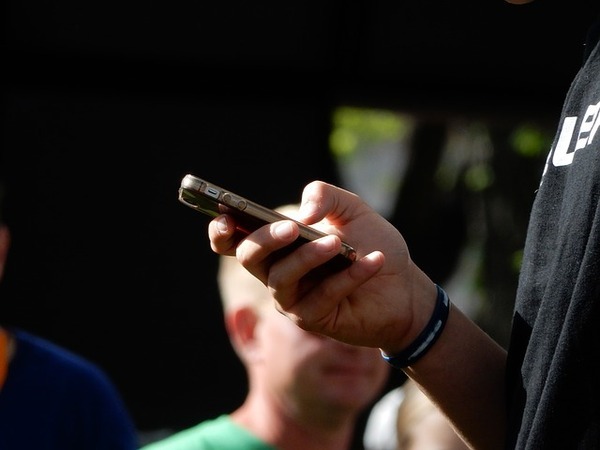 Text message marketing is the newest contender, and it has powerful statistics. It has a 98 percent open rate, with most people reaching the texts within just a few minutes of receipt. Coupons sent by text have a 10 percent higher redemption rate than email, and roughly 32 percent of subscribers respond to offers. It also has a high click through rate at 29 percent and has eight times the engagement rate of email marketing. These numbers demonstrate how powerful text message marketing is, surpassing the impact and reach of both email and social media marketing. Although text message marketing offers you a better way to engage with consumers, the use of these different marketing channels does not have to be a competition. All three marketing channels work best when they are integrated into one larger marketing strategy. This allows you to benefit from the strengths that each of the channels provide while minimizing the weaknesses. Ready to see how an SMS marketing campaign can boost your business more than email and social media? Try ClubTexting for free. As an eCommerce business, you may be thinking that email is the best way to communicate with your customers. However, more and more people are shopping online straight from their phones. Plus, they carry their phones around with them everywhere, making it easy for them to act on any advertisements they may see. Therefore, a strong SMS marketing campaign has a role in boosting business for eCommerce retailers, just as it does for any business. Following are just a few tips to help implement your campaign to get the most out of all the lucrative benefits of the marketing medium. SMS marketing provides a key way to send out coupons and other deals, but it takes more than just telling your customers about the deal to get them to take action. With a text message, you only have 160 characters, so you need to make them count. It is best to use strong, action verbs and motivating language to provide a sense of urgency. In addition to working on the right verbiage, you also need to determine the right discount or offer to provide. It should be a balance between a deal for your clients and one that does not reduce your profit margin too much. Although SMS marketing provides benefits even when used as a stand-alone marketing channel, you get even more of the benefits when used as part of an integrated marketing strategy. Text messages make for one of the best calls to action for any type pf advertisements, including print ads, flyers, billboards, television ads and radio spots. They also play a role in your digital ads, social media profiles, emails, and website. It does not take much to add a keyword and number to all your marketing collateral. People carry their phones with them everywhere and rarely have them further than an arm's length away. As soon as they see the ad, they can take immediate action before they change their mind or forget. This strengthens the impact of your advertising campaign while barely increasing your expenditure. More and more people use their cell phones in lieu of a personal computer, and mobile commerce makes up 30 percent of eCommerce business in the U.S. Even those who spend a lot of time on a computer still use their mobile phones for online shopping. As an eCommerce business, you want to be sure that you make it easy for your customers to shop on all platforms, including mobile platforms. With SMS marketing, you can send out digital coupons and make it easy for your customers to redeem them. Within the message, include a link for redemption that sends customers to your mobile shopping site so they can buy your products right there and then. Although you want to make it easy for customers to shop directly from the text message, you do not want to only target smartphones. The number of people who own a smartphone continually increases, with the current saturation at about 64 percent. Those who own an SMS enabled cell phone is much higher, at over 90 percent of the American adult population. Therefore, you have a chance to target a much wider audience if you create a message that also appeals to those who might not have a smartphone or shop online. You can do this by including an easy to follow way to redeem the coupon online even if they do not click on the link. One of the most lucrative benefits of SMS marketing is its extremely high open rate, which is at about 98 percent. Almost all of those are read within just a few minutes of receipt. This works well for businesses that wish to send out time-sensitive texts and promotions. Leverage this by sending special and exclusive flash sales and limited-time offers that are only good for that day only. People will be more motivated to take immediate action because the deal expires soon. 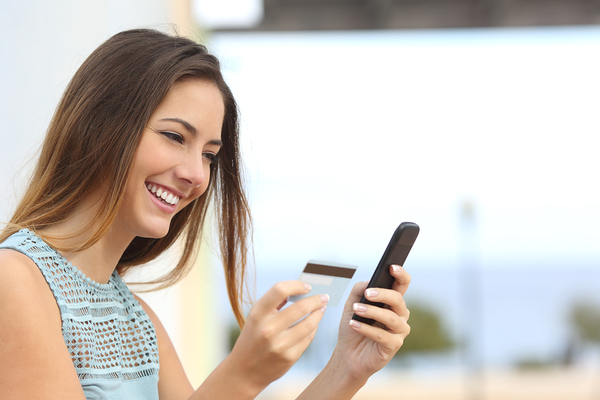 Text messages are a versatile component for your eCommerce business to use. Not only do they work as a way to send out coupons or provide an easy CTA, but they also work as an avenue for transactional and other customer service messages. When someone buys an item, send the receipt through text rather than email. Do the same when the package is sent and delivered. Due to the previously mentioned high open rate, you can feel confident that your customers remain well aware of the status of their purchase. SMS marketing works well for any business, including eCommerce retailers. When you develop your strategy, be sure to create messages that are unique to the medium and provide something of value to your subscribers to keep customers engaged and coming back for more. Ready to see how SMS marketing can boost your eCommerce business? Start your campaign today and try ClubTexting for free. For a rocking concert, it is essential to have a large, engaged crowd. There are many ways to promote your concert to get people into the seats. Club texting provides a powerful and cost-effective way to increase sales and improve attendance for your concerts and live events, no matter how big or small your venue or act. To draw a crowd to a concert, the first thing you have to do is get the word out. 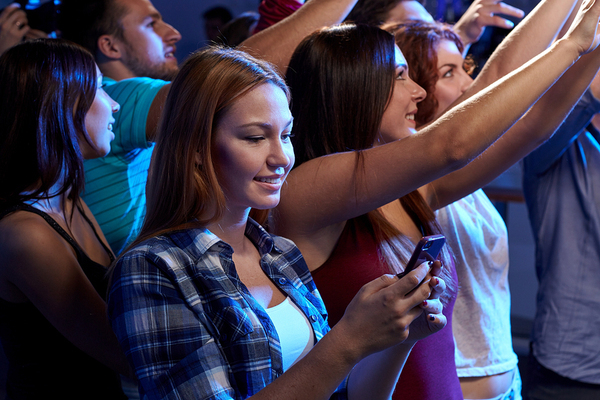 Club texting provides an effective way to promote your band or the concerts at your venue. Add a keyword and short code to your existing marketing collateral for a powerful call to action. Include the information on a stage screen during your concerts to get the current audience, who is already interested and engaged, to opt in. This provides you with an attentive audience to which to promote your future concerts, which, in turn, creates larger crowds at your next concerts. Once you have subscribers for your club texting program, send them alerts about upcoming concerts. Those who sign up to receive texts already have a strong emotional tie to your band or venue. This increases the chance that they will come back for another concert in the future. It is far easier to convert previous customers than new ones. Take advantage of this by letting your current fans know about upcoming concerts about which they might be interested. The more people who know about your concerts, the larger crowd you will have. For some of your audience, it takes more than just knowledge about your upcoming concerts to get them through the door. Another way to entice them to commit and buy tickets is to offer exclusive pre-sale opportunities. Make it easy for them to buy tickets before anyone else has a chance with a link in the text to buy the tickets. Include special offers and deals that are only available during the pre-sale time frame. This strengthens the motivation to buy the tickets early rather than waiting until the last minute to decide whether or not to go at all. When people have already bought tickets, they are much more likely to show up than if they simply plan on going, but have yet to invest in the tickets. It is not enough to simply promote your concert for the weeks or months leading up to it. Audiences have very busy schedules. Rather than rely on their ability to retain the information, send out event reminders a day before or the day of the concert. Text messages are opened within just a few minutes of receipt, so you can feel confident that your audience will see the message in plenty of time to still make it to the concert, but without having the time to forget about it. Club texting provides a way to target your most loyal audience members, especially if you create subgroups based on your behavior patterns and demographics. You can reward your most loyal fan base with special access to VIP seating or even a chance to go backstage at the concert. Send out a text message that includes the necessary information about the VIP program. If you do not have the space and means to have a backstage access or VIP seating for all your loyal customers, you can still offer it through a text-to-win contest. One or two people can win the chance to go backstage, and at the same time, you drive interest in the concert as a whole through the contest. There are many ways to promote your concert and increase the number of people in your audience. Club texting works well as part of your overall strategy to target your most loyal fans and more effectively promote so that you get people to take action and show up. Contact us to learn more about how to implement club texting and increase your audience numbers. Whether you have a traditional radio station, Internet-based station or a satellite station, finding listeners remains key. Promotion and marketing provide you with ways to reach out to possible and current listeners to build a strong listener base. One beneficial and cost-effective marketing platform that can benefit your radio station is SMS marketing. With the right plan in place, you can increase the number of listeners so that your radio station remains relevant and boosts its business. Radio remains a medium in which the relationship with the audience is key. Therefore, you want to have a way to communicate with your audience and make it easy for them to communicate with you. One way to do this is to use SMS marketing. Your audience can text in a live music request, vote via text for your current radio station poll, or otherwise join in with what is going on. Most people have their phones with them at all times, so it is easy for them to pick up their phone and vote whether or not they liked a particular song or text to participate in your latest contest. This boosts their engagement with your station, which, in turn, increases the chance they will choose to become a repeat listener, and may even become a loyal one. Once you have permission to text someone, you can send out reminders about your events. You only want to text your subscribers around two to four times per month, which is perfect for occasional reminders. Rather than reminding them about every single show, send out reminders about your special events, a new show you're starting, a contest you are running, and more. When someone receives a text about your radio station, they will be reminded to tune in, whether for the event or simply when they decide they want to have the radio on in the background. Texting is the perfect CTA because people always have their phones with them. 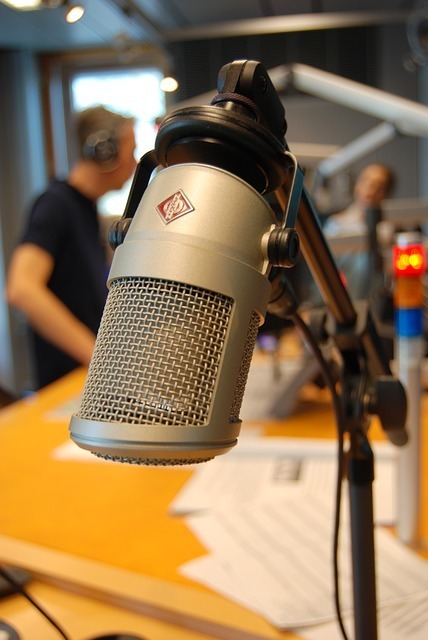 To get people to tune into your radio station, it is important to get the word out about your programming and create excitement surrounding your events. There are numerous avenues for promotion, including print ads, billboards, bus ads, digital ads and social media posts. SMS marketing complements these marketing campaigns and helps them to succeed. You can add a texting call to action to increase the number of people who respond to your ads. Simply include a keyword and number to text on the bottom of your ads for more information or to enter a contest. Because most people carry their cell phones with them everywhere, they can respond right away. Additionally, your campaign will catch on, building more excitement surrounding your event, programming or station as a whole. This leads to an increase in the number of listeners, boosting your station's overall business. SMS marketing is a cost-effective marketing channel that has the power to boost your ratings and increase your radio station's business. 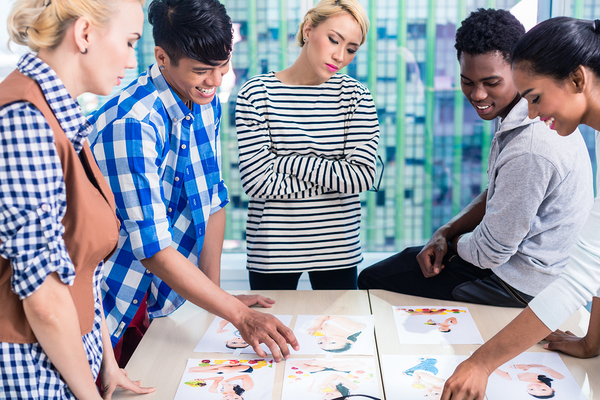 To compete with the plethora of options people now have for radio programming, it is important to engage listeners, facilitate excitement and remain relevant. Texting can help you to do this without breaking your marketing budget. Contact us to find out more about how to integrate SMS marketing into your strategy to augment your business. Summer is in full swing, so it is the prime time for your clients or members to visit your pool. Whether you run a community pool, private pool, or have a pool as part of your gym, it is important that you keep your clients abreast of all the activities and events going on at your location. Group texting provides an easy and cost-effective way to send messages to your swimming clients so that they can take full advantage of your pool. Attract more people to your pool by adding a text CTA to your promotion. When you wish to attract more clients or members to your pool, then it is important to promote to your target audience. This might be the members of your neighborhood, or you might have a much wider geographic location from which to find potential members. As you create flyers, posters, and other advertisements about your pool, include a keyword and your shortcode or number for your group texting program as the call to action. This increases the number of people who actively engage with your advertisement, helping to increase the number of new and returning clients. Text marketing is easily added to marketing collateral you already have to provide this additional boost. Group texting is a permission-based marketing platform, but that does not mean you cannot use it to directly advertise events beyond its use as a call to action. Once you have a subscriber list, you have a group of interested people to which to advertise the events at your pool. This might be a new swim club, water aerobics, lap swim times, a summer pool party for kids or some other event. The members of your SMS marketing program already have an interest or emotional investment in your pool, so they make for a more engaged group to which to advertise that often leads to a greater success rate. To take more advantage of this, create groups to whom to send targeted, personalized messages. These type of messages have been found to have a 360 percent greater impact. 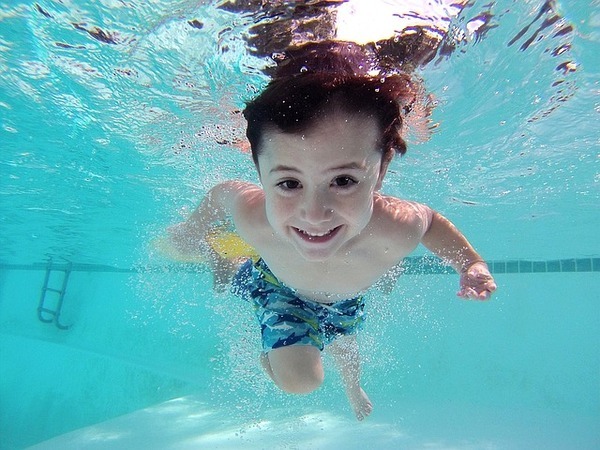 Unless you have a community or neighborhood pool whose maintenance and other fees are paid for by the homeowner's association dues, and thereby free to use by members, there is most likely a fee to use your facilities. This might be a monthly membership fee, a per-visit entry fee, or a combination. Your group texting program offers a way to send discounts and other promotions to your members and clients to motivate them to choose your pool for the way to cool off on a particular summer day or for the whole summer. Discounted fees provide a strong motivation for people to take action. Text messages are typically read within minutes. Take advantage of this to turn around a slow day by sending out last minute deals and discounts to your subscribers. 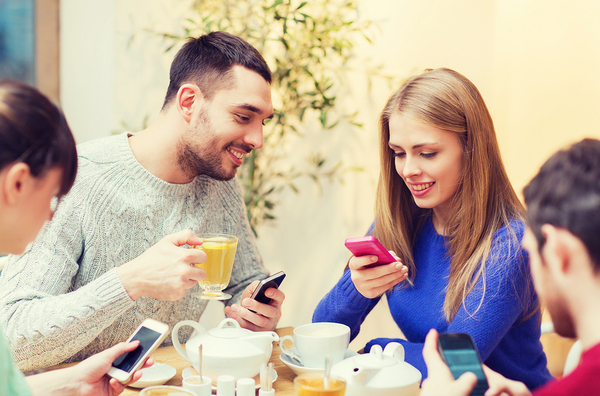 The benefits of group texting are not just for marketing and promotion. Group texting also provides a strong customer service opportunity. Most people own an SMS-enabled cell phone and carry it with them everywhere. This makes it the best medium for sending out important alerts that you want to ensure people read. This could be emergency closures of your pool due to inclement weather, last-minute changes to the schedule, or other last-minute and emergency alerts. Text messages have an almost 100 percent open rate, which means there is a much higher chance that people will read it than with email, which has a 28-33 percent open rate. Just as texting provides a great way to send out emergency alerts and last minute updates, it also is a beneficial medium for sending out reminders. This might be about an event for which someone has signed up. If your pool offers swimming lessons or water aerobics, you might send out reminders about the class to ensure that everyone shows up. This also works well for sending reminders to your clients and members about the pool rules and etiquette. Ask your members to text you feedback to help you improve. Group texting is a two-way communication channel. This means that not only can you easily send out important information to your pool's clients and members, but you can also receive it. Your clients can send feedback about the pool to help you make improvements. The easiest way to do this is to send out a text poll. You ask a question and assign a few keywords as the different answers. Your subscribers vote by texting the keyword that matches their answer. Because it is so easy, you have a higher response rate. It is also possible to send a link to a longer survey to get a better understanding of what your clients want. 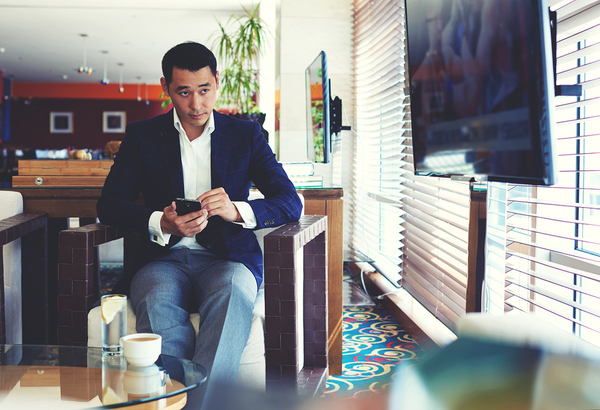 These are just a few ways that you can incorporate group texting to help enhance the communication between you and your clients or members. No matter what type of pool you have, this will help to improve the overall customer experience, which in turn leads to an increase in your overall business. Ready to draw a larger crowd to your pool? Start your text marketing program by trying ClubTexting for free.